SYRACUSE, N.Y. - A professor at the SUNY College of Environmental Science and Forestry (ESF) was elected chair of the New York State Employee Assistance Program Advisory Board. 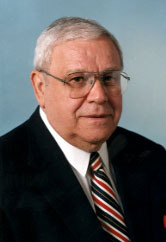 Frank Maraviglia of Syracuse has been a board member for several years. He served as coordinator of ESF's Employee Assistance Program for more than 14 years. Maraviglia is a professor in ESF's Faculty of Landscape Architecture. Maraviglia teaches technical graphics and creative problem solving at ESF. He earned his bachelor's degree at the SUNY College at Oswego and his master's degree at Hofstra University.